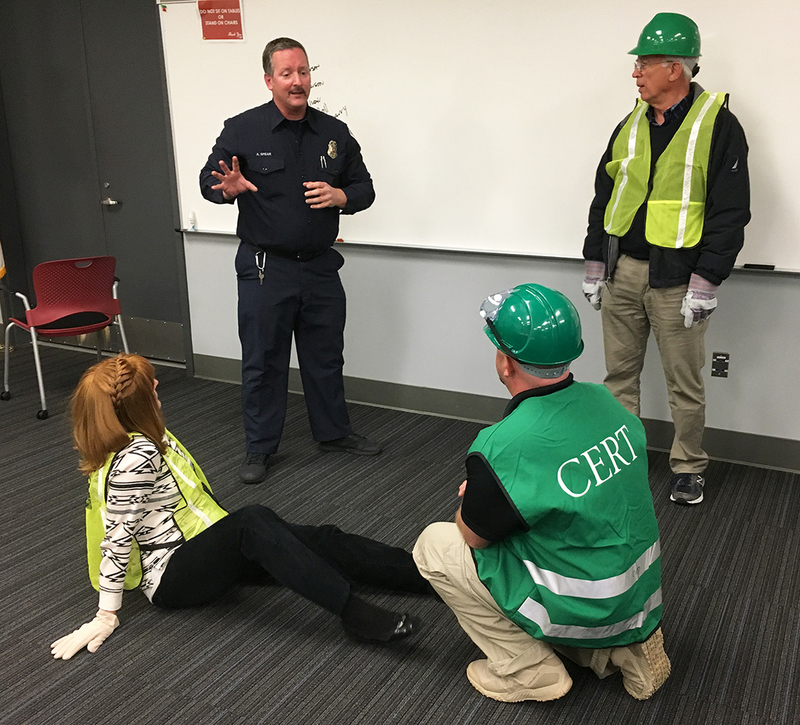 CARLSBAD — Three classes remain before the city crowns its 10th Certified Emergency Response Team. The Coast News was given inside access by the city to attend the training seminars and document how those civilians affect disasters. Spearheaded by David Harrison, Carlsbad’s emergency response director, and Jeff Murdock, Escondido’s emergency response coordinator, the two covered various areas in reacting to a situation. Also, the class is given proper techniques and lessons from the Carlsbad Fire Department Capt. Ben Rosenthal, Randy Dumont, firefighter Andy Spear and others ranging from basic chest compressions, fire suppression, triage to light search and rescue, to name a few. 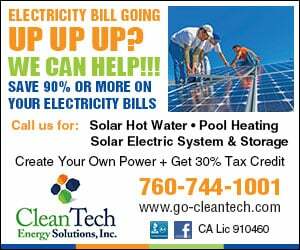 During his presentation about fire suppression, which focused on small kitchen blazes but also detailed other circumstances, Dumont warned about going into homes with solar panels. He said professional firefighters don’t go into the homes because there is no mechanism to shut off the power from the panels to the origin of the system. The class then practiced putting out a kitchen fire using a fire extinguisher, while other lessons showed how to remove a person by using a chair or putting them over the rescuer’s back and walking out. In addition, the class practiced searching a smoke-filled building looking for survivors, noting obstacles along the way and cribbing to lift a heavy object lying on a victim. Additional insight provided by Harrison and Murdock, meanwhile, included who actually are first responders. While police and fire departments go into harsh and violent situations, many times it’s civilians who act first. For example, Harrison spoke about the Boston bombings of 2013 and how it was those spectators and runners at the marathon who provided the initial treatments to victims, even if minimal medical techniques were applied. But the main point the future CERT members undergo is to treat as many victims as possible in the shortest amount of time. In a triage situation, the class was taught to evaluate a patient in 30 seconds or less and move on to the next person. After reaching all victims, then should a bystander return and give additional treatment to those critically injured. Most of CFD’s calls, though, are for injuries, car accidents and other medical emergencies other than fire. Rosenthal said 95 percent of CFD are paramedics, while Spear added the department has more ambulances than fire engines. And it needs them as the department receives more than 12,000 ambulance calls per year.